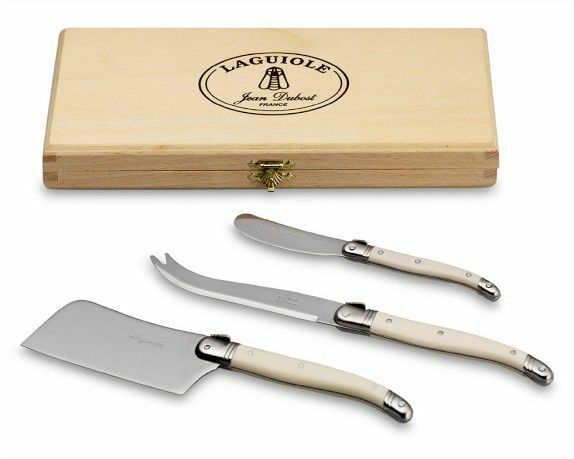 Whether you’re hosting a wine-and-cheese party or serving a traditional cheese course, these finely crafted French tools provide expert assistance and perfect service. Their classic design was inspired by a shepherd’s tool first produced in the French village of Laguiole in the 19th century. Made of thicker, heavier-gauge stainless steel than other Laguiole cutlery and flatware on the market, each is hand polished and finished for a difference in quality you can really see and feel.